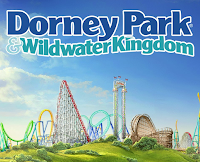 We've got a nice treat for everyone this week as Dorney Park was kind enough to have us by the park to take a look at all the projects currently underway for the 2017 season. 2017 will be a pretty big year for the park in terms of capital expansion additions with two new rides, a huge catering area, a new show, several food changes in both parks, Wildwater Kingdom improvements and more. So much in fact that this update will have to be split into two parts! So let us wait no more and let's go ahead and dig in! Parkside Pavilion is a major capital project that will give the park a high-capacity, modern, comfortable and rather nice catering facilities for its guests. 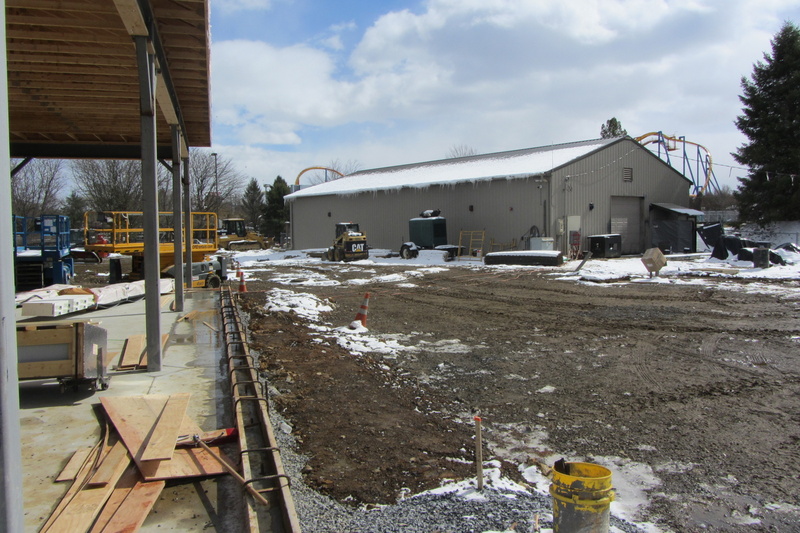 We first heard of the park's plan for the addition almost two years ago, and now the build is underway and it's going to be quite impressive when done. For those who want a refresher, here is how the finished Parkside Pavilion will look. There are basically three pavilions in the project, two large ones on either end and a middle one with both seating and a large kitchen. At this point more than half of the structures are up, which we can look at in detail below. This photo was taken from just outside the entrance of Blood on the Bayou, showing a large part of the pavilion that is not yet standing. To the left of this photo are completed structures, and in the coming weeks the dirt seen here will quickly turn into more completed buildings. 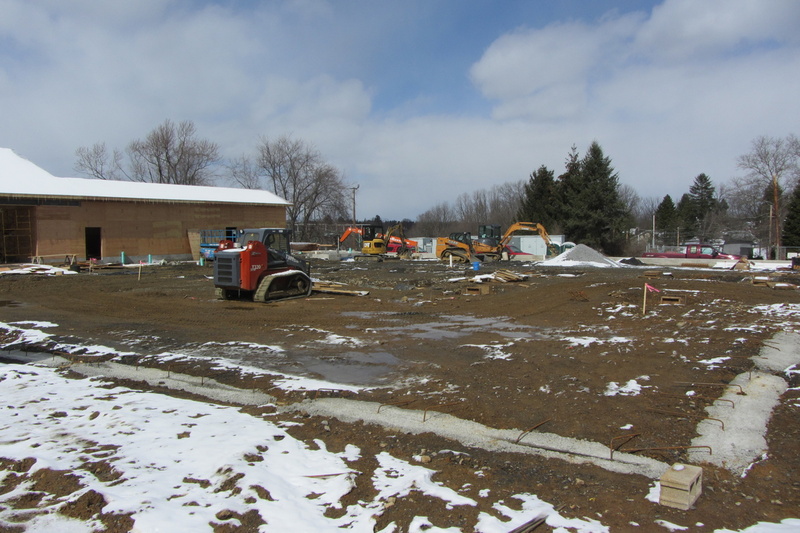 You can see the defined outline of the area (and how large it is) via the concrete footings already poured. Taken from the same spot, this image is zoomed in on the already standing structures. Most of what you can see here is the middle pavilion, which does offer seating but also holds a large chef's kitchen area - more on that later. 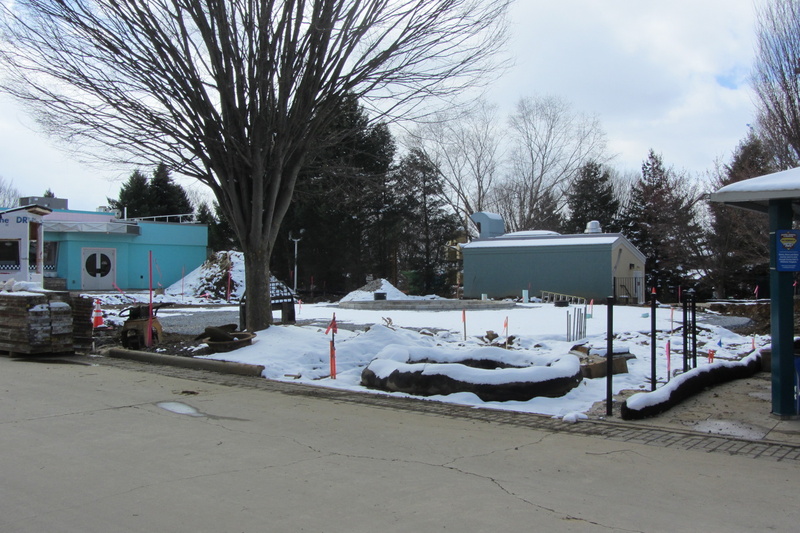 The main entrance to Parkside Pavilion will be past the entrance to Hydra, back around Meteor where the existing restrooms are. 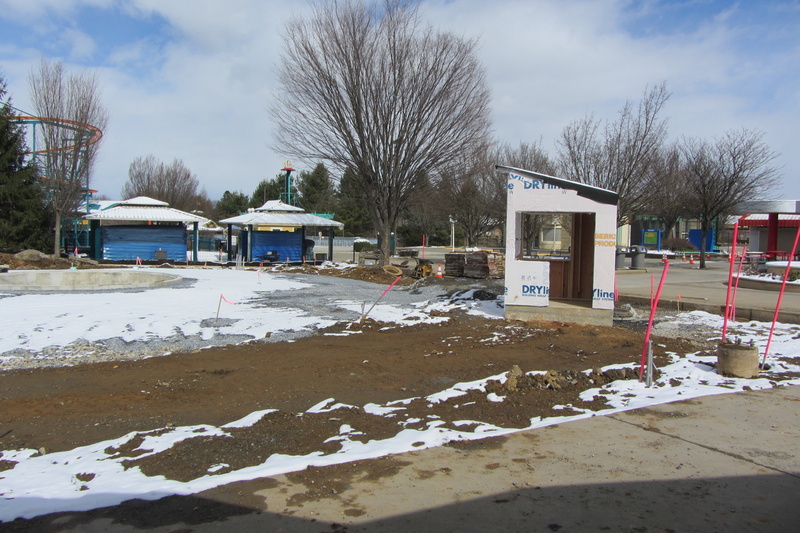 You can see those restrooms in this photo, they're getting a bit of a spruce-up as part of the larger project. Guests will head to the left of the restrooms to formally enter the pavilion area. There will be a large entrance sign in the foreground of this photo, helping guests know where to go. 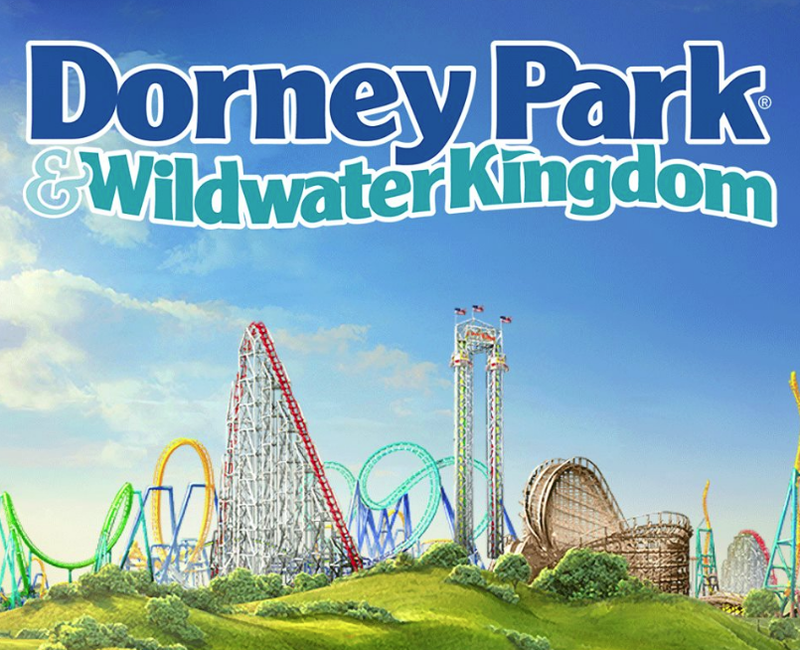 And the sign will look an awful lot like this, because this is it being fabricated by Dorney Park's talented graphic services team. 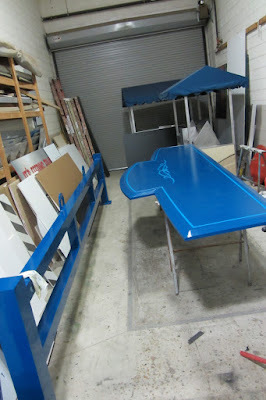 The cap-piece on the left will hold the sign on the right, once it has its lettering of course, and actually be removable should the need for large equipment to pass through the area. You have to think of everything when you run what is essentially a small city of its own, as the park pointed out to me. 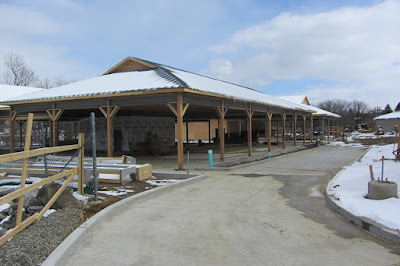 As guests come around the restrooms they are greeted by the expansive Parkside Pavilion stretching out in front of them. 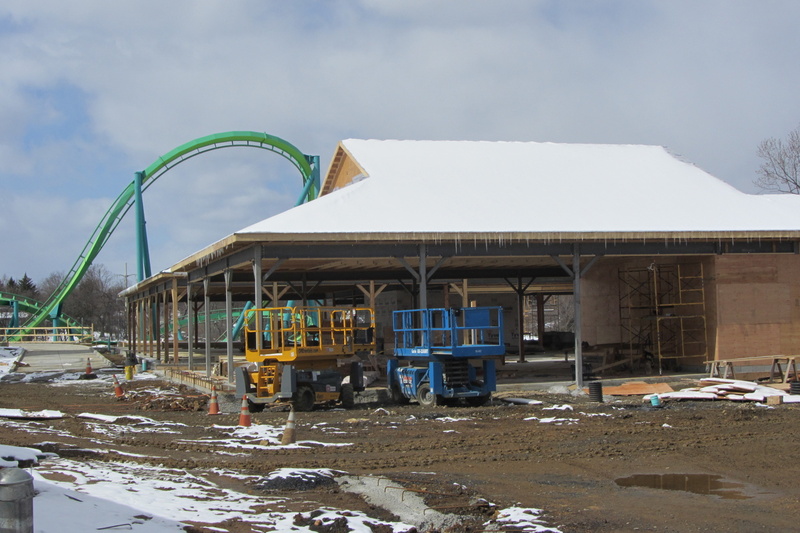 The park already has the first large section completely covered (the snow was obscuring the final roof colors here), as well as the middle area - if you look close you can see the break in the structure. As said before, a large third section will be located way in the back of this photo. Photos do not totally show just how massive the buildings are. Also as guests enter the area they're going to have some neat views of Hydra, Steel Force, and the lake below. This temporary fencing allows a clear view to the track below, but even when the final fence goes up the views will still be impressive. Stepping inside the first large pavilion we start to get a feel for the size of these structures. And what you see above is only half of just the first building! There's a duplicate section to what you can see above on the other side of the middle building with the white paper coating on it. 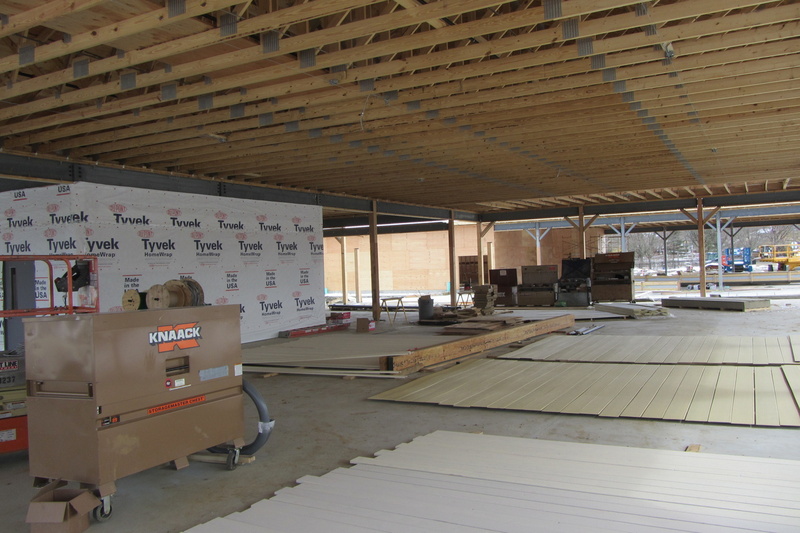 That center section will be where self-serve refreshments can be obtained. 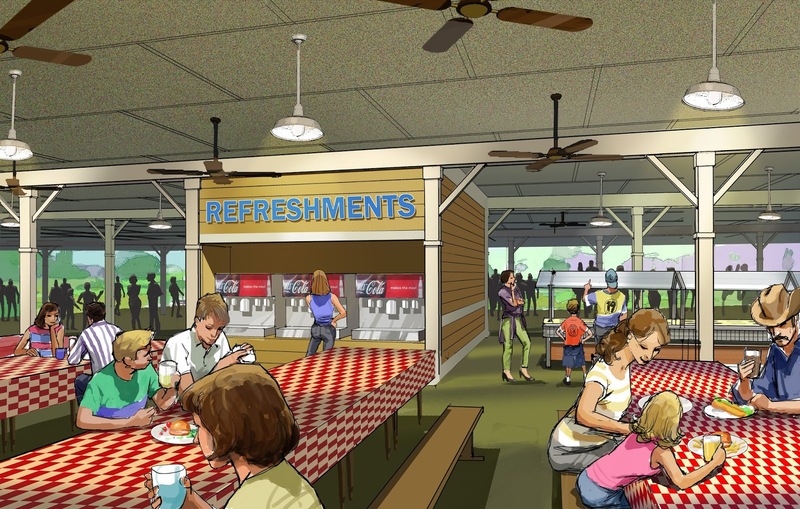 I realized after I took the above photo that it was pretty comparable to this concept art of Parkside Pavilion that Dorney Park released last fall. You can see the center beverage area that I referenced before, and how the serving areas will be set out. 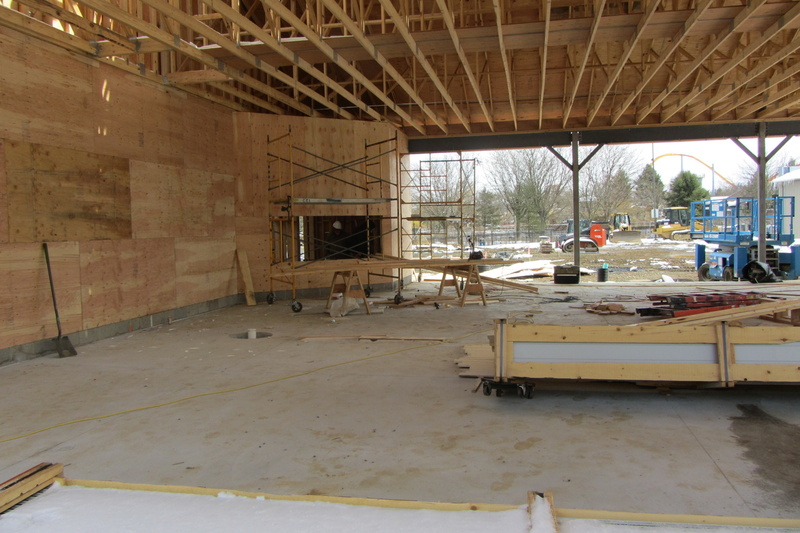 The pavilion features high ceilings that will be complete with modern lighting and fans. When finished, the area will have a very comfortable feel to it, especially when compared to the existing catering pavilions. In the middle of the center pavilion is a large chef's kitchen, which is pictured above. Obviously right now there isn't a lot in here, but when complete there will be all the required kitchen items for the park to make a huge variety of dishes. Those looking to book an event at Parkside Pavilion will be able to choose from much more than just the usual burger, hot dog and chicken menu. But of course, those classics will also be offered. 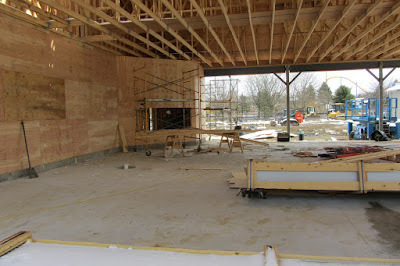 This is a shot of the seating area in the middle pavilion, with the chef's kitchen area inside the wall on the left of the photo. 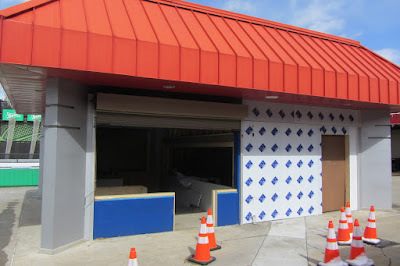 The cut-out area in the wall will be another self-serve refreshment area for guests. 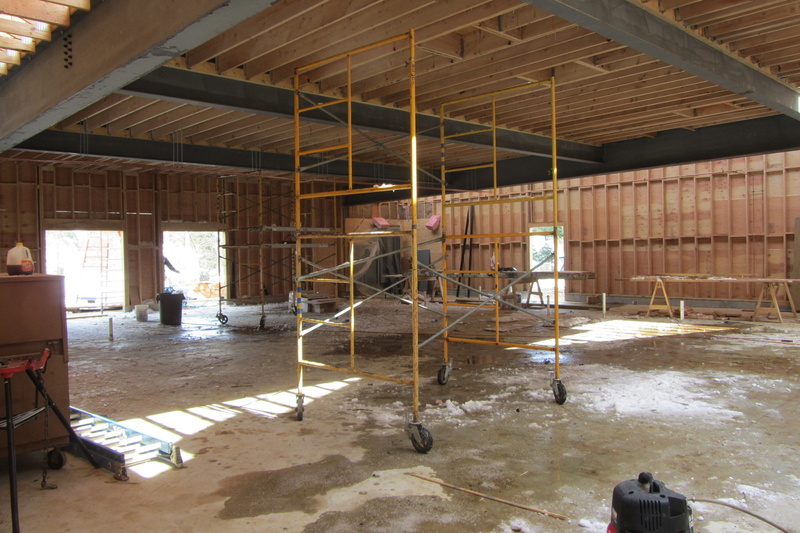 Another plus of the Parkside Pavilion is that they will have movable walls that will allow the large areas to be subdivided to give groups a more private feel, regardless of their size. There will be a bit of open space between Parkside Pavilion and both White Water Landing and the building seen above, which holds Haunt attractions - currently Blood on the Bayou. In this space will be a 'presentation area,' not a formal stage but something that groups can use if they have an award ceremony or something similar. This section will be worked on more when the main structures are all standing. 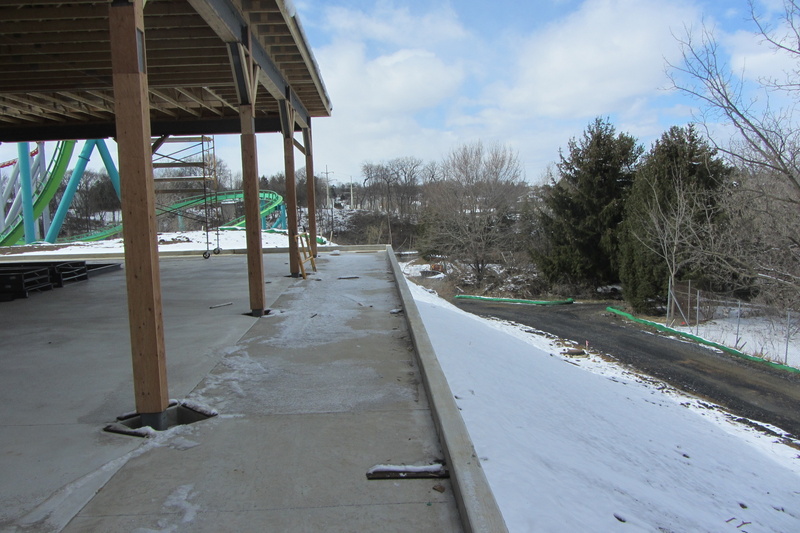 One last photo from the pavilion expansion, this is the far corner of the development that shows the elevation change that takes place in the area. There's a service road down below that gives the park access to Hydra. It took a significant amount of concrete to be able to get the job done, but it will be well worth it when this expansion is complete. Another new project for 2017 is the addition of Cirque Imagine in the park's Good Time Theater, located just inside the park's main entrance. This popular show has already played at several other Cedar Fair parks and become a huge success for them. There is still a lot of work to go before the show is ready to open, though all the set pieces are already in the theater. A lot of assembly required, however. 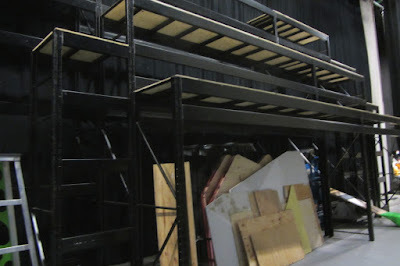 Above is a photo of one of the main performance pieces that has multiple levels for performers to use. In other variations of the show it is common to see cyclists way up on the top level, for instance. Cirque Imagine will feature "high-flying acrobatics, feats of strength, raw athleticism, beauty, grace and sidesplitting humor," according to the official park description. The acts will take place in front of, and on top of, uniquely lit set pieces, some of which are seen above. 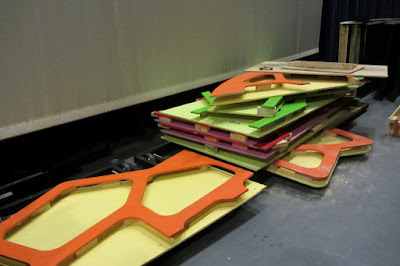 Like I said, plenty of assembly still required though! 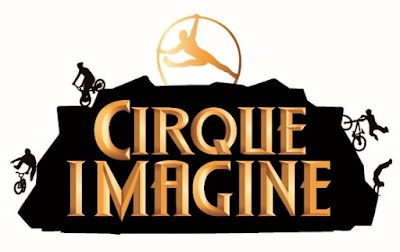 Cirque Imagine is set to open in June. One of the two new rides opening in 2017 is Kaleidoscope, located on the Main Midway next to the Coasters restaurant. The twirling flat ride will have an amazing lighting package that, at night, will make a kaleidoscope of color - hence the name. 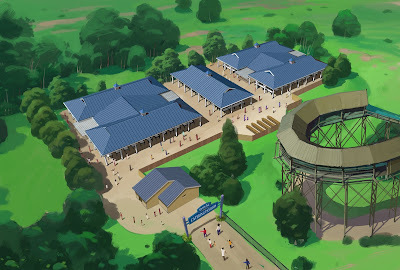 For another refresher, this is the original concept art released by the park. 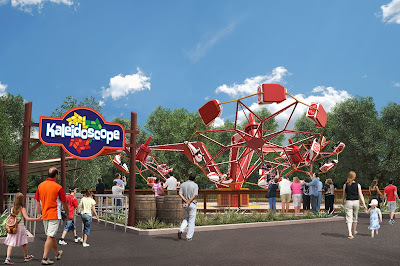 Kaleidoscope is a "classic" flat ride, a Huss designed Trokia. The ride was obtained as a part of Cedar Fair's hunt that went across the globe in search of popular family rides that aren't found in North America as frequently as they used to be. 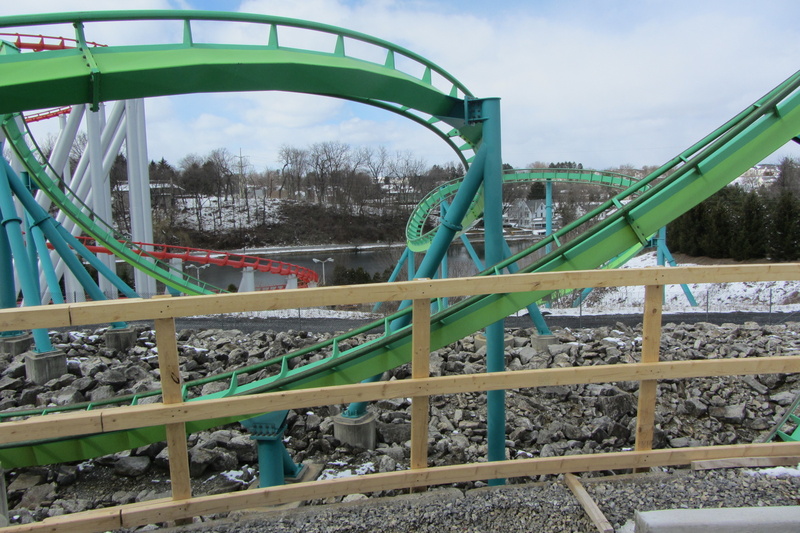 Dorney Park's Trokia is coming from Europe, where it traveled on the fair circuit. It will be fully refurbished before it is installed and opened. Here is the current progress on Kaleidoscope - this photo was taken from just at the edge of the Coasters dining patio. 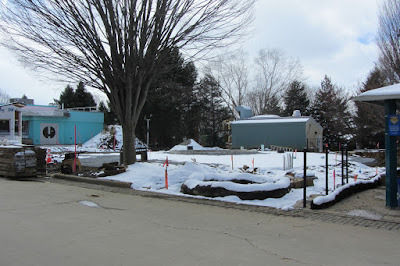 This plot of land used to be home to the Screamin' Swing, which all traces of have been removed except for the service building in the back. 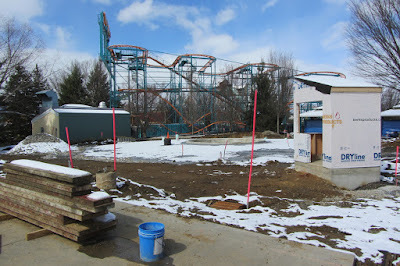 The park has been working on installing a permanent foundation for the ride, and also has the operator booth standing. To give an idea of the ride's location, here is another photo showing the Main Midway behind the construction site. Kaleidoscope was able to fit in with just the removal of the temporary stage that was next to Coasters - the locker structures in the far end of this photo (and the trees!) will be able to remain. Walking down the midway a bit and then turning backward at the work site. Trokias are fairly large flat rides, so I'm pleased to see how the park was able to fit it in this space so nicely. The queue for Kaleidoscope will be adjacent to the Coasters dining patio, on the left side of the ride. Finally, one last photo for this first part of the overall update. 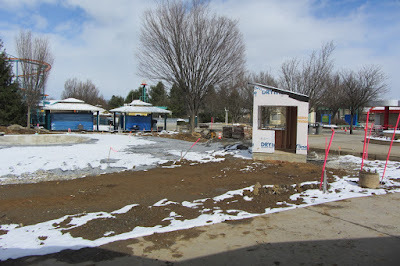 The free standing game building that is located in the middle of the main midway area (near Talon) will no longer have games in 2017. Instead, it is being converted into a Coca-Cola Refresh Station. With the emergence and popularity of all day and all season beverage plans, there is additional need for these facilities in the park - and this location will be able to handle plenty of guests. It's also a great physical location, sandwiched in a very busy dining area and also in between both of the park's new rides. Stay tuned for the second half of the update later this week!